You were presumably referring to the fact that Moses is on the eastern pediment of the Supreme Court building? Holding the Ten Commandments which he received from God? I was merely pointing out that the Semitic God 'Yahweh' comes from the Canaanite god Yahveh. And EVEN IF the names similar the God is not. Last edited by Itullian; Jul-31-2014 at 20:41. Itullian: Sorry.Don't agree with that. "Why listen to the renowned Harvard and Georgetown School of Foreign Service professor who's one of the greatest historians the United States ever produced?" -- Survey says! . . . . . . . "Number One: 'Because emotions aren't tools of cognition.'. . . and Two: 'Because facts aren't 'stupid' things, but rather 'stubborn' things.'" Last edited by Marschallin Blair; Jul-31-2014 at 20:53. 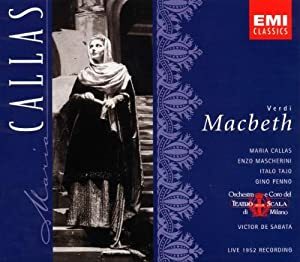 I can understand it not being palatable, but ..... let's get back to Maria Callas, possibly? Obviously you have issues with religion, so i'll end it here. friendly. Itullian: Obviously you have issues with religion, so i'll end it here. friendly. I thank the gentleman for his kind remarks. Last edited by Marschallin Blair; Jul-31-2014 at 21:46. Yes. I've read too many of these 'great' historians who make a living out of speculation. Sounds about the same level as dear old John Allegro. And some people can't even see reality! Problem is with these 'facts' is that other renowned academics see the 'facts' differently! 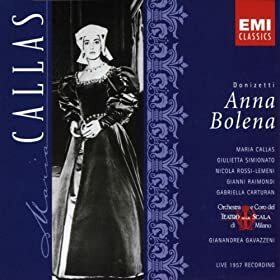 Oh dear, oh dear - please can we get back to Maria Callas? 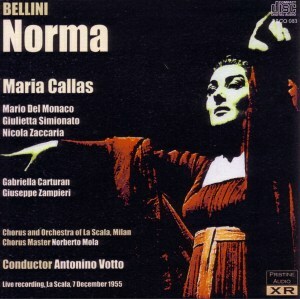 Headphone Hermit: Oh dear, oh dear - please can we get back to Maria Callas? As much as I'd like to talk about "Lights! Camera! And me without make-up" realism-- it really is all about Divina and not the Diva. . . So, getting back to Her, all I can say is that I'm Jonesing not having that newly re-engineered box set. I'm so excited about it. We're talking 'getting-a-surfboard-for-Christmas-in-the-fifth-grade' level excited. Last edited by Marschallin Blair; Jul-31-2014 at 22:27. "I'm amazed, I'm absolutely amazed. My goodness me, it makes the hair on the back of my neck stand up. ... It's a revelation. I was practically in tears listening to Casta Diva. It's remarkable. I am absolutely knocked over." Last edited by DarkAngel; Aug-02-2014 at 19:01. Last edited by DarkAngel; Aug-02-2014 at 19:03. 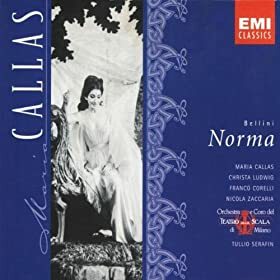 Although her 1960 EMI studio Norma (image 1) towers above any other singers recording, for me Maria's immortal 1955 La Scala season of Normas is the supreme holy grail of Norma performance.......again only available live. Last edited by DarkAngel; Aug-02-2014 at 23:27. -- and certainly two more Divine Performances which will be missing. All times are GMT +1. The current date and time is Apr-25-2019 17:02.